Young Naomi Osaka from the land of the rising sun stormed the tennis world and conquered the hearts of fans and even court opponents. The new talent defeated strongest rivals and topped the tennis ratings. Naomi was born in Osaka, Japan, on October 16, 1997. Her father was Haitian, and her mother was Japanese. The international roots gave the girl the exotic appearance and character: she grew up a goal-oriented, industrious, hot-tempered, and assertive person. Osaka has an elder sister Mari who is also a professional tennis player, although she has not achieved as much as her younger sister. 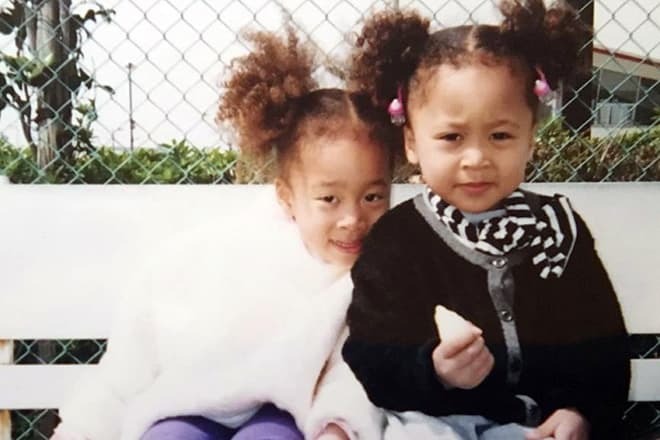 When Naomi turned three, the family moved to the USA; from that time, Osaka has lived in Florida. The girl took an interest in tennis as she was following the example of her sister. The athlete remembered she tried to use a racket and compete against Mari when she was three. The father gave the girls tennis lessons. At some point, Naomi’s amateurish love of tennis turned into something more significant. As the tennis player started her career, her father made a decision to register his daughter in the Japanese tennis association, although the girl had the double citizenship. In one of her interviews, Naomi confessed that she would have devoted her life to sport anyway, even if her tennis career had not worked out: she would have chosen some other sports-related job. Before the world of tennis welcomed the young Japanese, she considered the work of a sports agent as a second option. Naomi Osaka began to conquer the tennis Olympus in 2013. She did not take part in junior competitions and started playing in ITF tournaments at the age of 14. The athlete’s height was 180 cm., her weight was 69 kg., and her strong arms gave her the chance to serve powerfully. Naomi recommended herself as a prospective tennis player at once. Skeptics believed Osaka was just lucky to have weaker opponents and her achievements were short-term. Still, in 2014, the Japanese was qualified for WTA in Stanford: she defeated the former American champion Samantha Stosur who was one of the top 20 tournament players. In 2015, Osaka continued to perform successfully and outplay top-rated opponents. In Australian Open, she proved to be a dangerous rival and won against Donna Vekić and Elina Svitolina. Because of trauma, Osaka failed to participate in Wimbledon 2016. Still, she won several victories at the US Open 2016 and Japan Women's Open where she faced her compatriots. The athlete’s first breakthrough is associated with the Toray Pan Pacific Open 2016 where she reached the WTA final for the first time in her career. Osaka lost to the former top racket of the world, Caroline Wozniacki. It was the triumph result for the young sports star. 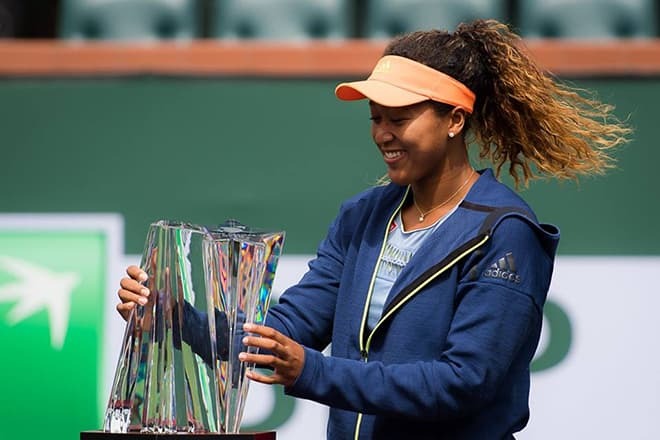 At the end of the year, Naomi Osaka was included in the top 50 tennis players in the world. Moreover, WTA Awards named the Japanese the Newcomer of the Year. The next year was marked with varied success. 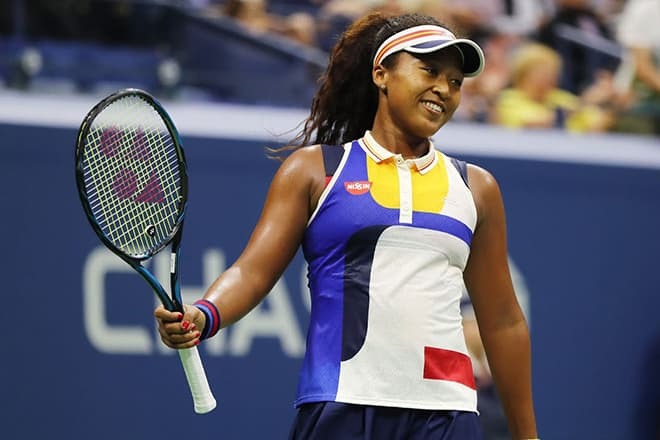 Osaka took part in large and prestigious competitions including the Grand Slam tournaments: the Australian Open, the Dubai Tennis Championships, the Indian Wells Masters, the Miami Open, the Welsh Tennis Championships, and Wimbledon, yet she did not stand out for her results and did not win the tournament. Together with the coach Sasha Bajin, Naomi chose the aggressive, attacking style of playing. The right-handed athlete can easily attack and serve with both arms. Osaka’s strength and serve speed are impressive: 201 km/h. The young Japanese devotes all her time to training. Similar to many athletes whose careers are just developing, she does not view love affairs as the priority. Osaka says she is an introvert; the young woman is shy and reserved. The athlete believes she inherited this trait of character from the Japanese. She feels close to the eastern culture and people. This mindset was one of the reasons Naomi agreed to play tennis for Japan. In addition, Naomi loves sushi and Japanese cuisine. As a typical young person of the modern times, Naomi is an active Internet user. She posts photos with her friends and family on Instagram and Twitter and makes ironic comments. Sometimes, she publishes old photos from the family archive and writes about them warmly. The star athlete’s followers and tennis lovers emphasize Naomi’s frankness, goodliness, and simplicity. 2018 has brought brilliant results. Nobody expected the Japanese player to triumph at the Indian Wells Masters. 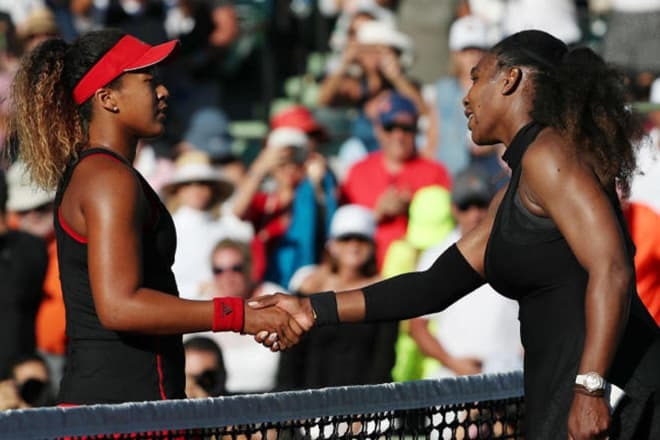 Osaka crushed the high-ranking athlete Maria Sharapova and continued the successful series of victories. Naomi defeated the Czech player Karolína Plíšková in the quarterfinal and surpassed Simona Halep from Romania (she used to win against Osaka) in the semi-final. 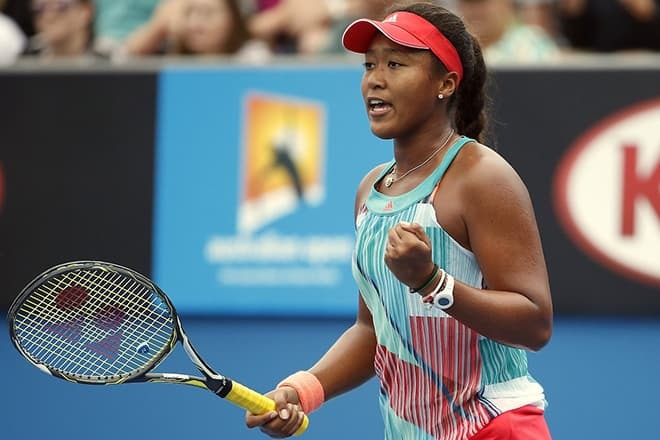 In the final game, Naomi Osaka came in first against the Russian player Daria Kasatkina. 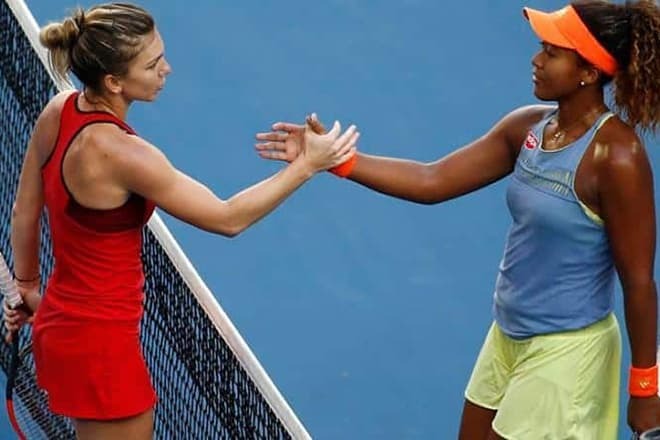 Neither player broke the young Japanese athlete’s pressure and commitment: Naomi won the victory. With those impressive results, Osaka did not stop working hard and became number 22 in the world’s rating of tennis players. She got the chance to challenge Serena Williams who had been Naomi’s icon from the childhood according to Osaka herself. It was Serena Williams who inspired the young woman to deliver sports results. Naturally, Naomi was nervous when she met her icon. The Japanese player only hoped to save face and not to get swept. Eventually, she managed to win dramatically. However, the woman could not defeat the Ukrainian player Elina Svitolina, just like it happened at the beginning of the year in Dubai. Still, the Japanese athlete has proved to be a promising, successful player who has all chances to top tennis ratings in the future.